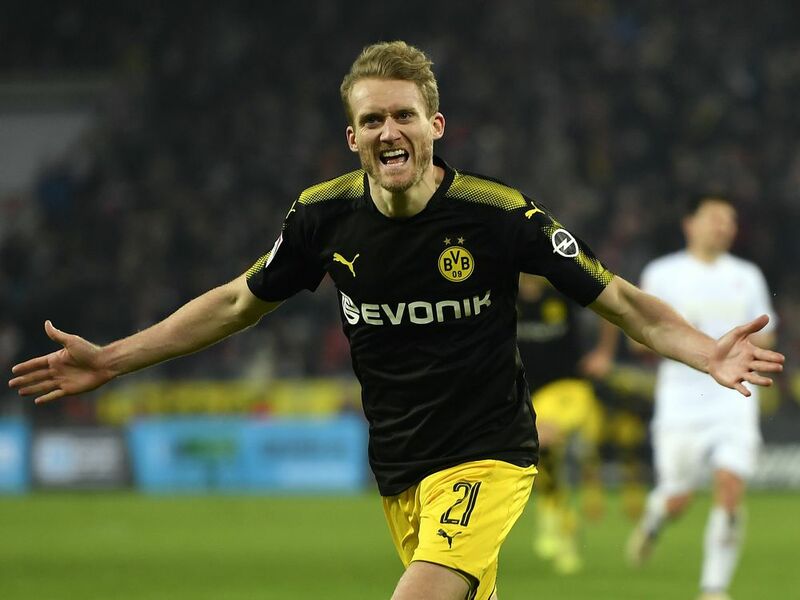 Germany forward Andre Schuerrle, who had a spell with Chelsea earlier in his career, joined west London neighbor Fulham from Borussia Dortmund on a two-year loan on Wednesday. "I'm so happy to be here, I can't wait to get started," the 2014 World Cup winner said. "Fulham were the first club that showed interest in me, that was something I appreciated a lot, and one of the reasons I wanted to come here. "I love ball possession, I love attacking, and I love making runs, so I think it could be perfect," Schuerrle, 27, said of his move to the newly-promoted English Premier League team. Schuerrle impressed with Mainz and Bayer Leverkusen before he joined Chelsea for a reported 18 million pounds ($23 million) in 2013. He scored a hat-trick at Fulham in a 3-1 win and played enough games to earn a Premier League winner's medal in 2014-15, even though he left for Wolfsburg before the season ended. Schuerrle joined Dortmund two years ago for an undisclosed fee.